Sign up and receive Property Email Alerts of Vacant Land for sale in Tinley Manor, Tinley Manor. 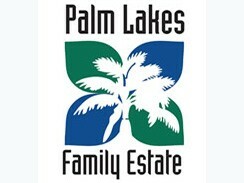 Palm lakes Estate offers this lovely large stand positioned on the greenbelt and close to the Club House. This stand is sold with fully approved Bloc Architect plans for a 341sqm house consisting of 4 bedrooms, 3.5 bathrooms. Sign-up and receive Property Email Alerts of Vacant Land for sale in Tinley Manor, Tinley Manor.